I’m pleased to announce (belatedly) a new anthology from the Center for a Stateless Society (C4SS): Free Markets & Capitalism? 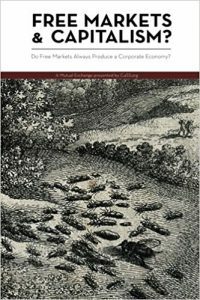 : Do Free Markets Always Produce a Corporate Economy?, edited by Cory Massimino and James Tuttle. One third of Free Markets & Capitalism? (not to be confused with C4SS’s earlier anthology Markets Not Capitalism) reproduces an online exchange from last year among Kevin Carson, Derek Wall, and Steve Horwitz on the question of whether corporate capitalism would indeed wither away in a genuinely freed market, as left-libertarians contend, or whether instead, as both capitalist and socialist critics of left-libertarianism maintain (whether cheerfully or gloomily), market incentives would tend to reproduce much of the structure of corporate capitalism even without state intervention to support the process. 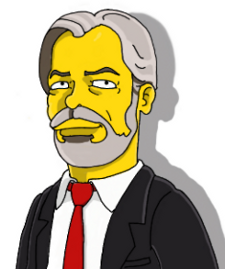 The other two-thirds of the book are devoted to background readings (most by Kevin Carson – including his classic, The Iron Fist Behind the Invisible Hand – but also a couple by me, and one by the late Roy Childs) expounding the left-libertarian position on the issue. Buy a copy today! Buy two copies tomorrow! Buy four copies the next day, and eight the day after that, and so on …. For the past 35 years, my mother and I have had two pianos in storage in Vermont. One was the piano I grew up with and learned to play (a bit) on as a child. The other – the more valuable one, with genuine ivory keys, inherited from her own mother – was the piano my mother grew up with and likewise learned to play on (with much greater ability) as a child. In all these years, we’ve never had a place large enough to hold them, though we always hoped to eventually. This week we were notified that the facility where they were stored burned down last month, and both pianos were destroyed. The debate over President Trump’s travel ban and the debate over gun control look surprisingly similar – except for who’s on which side. In each case, supporters of the policy argue that it’s necessary in order to prevent incidents of lethal violence, while opponents argue, first, that the policy’s likely impact on such incidents is overstated, and second, that it’s unjust to restrict the freedom of a vast group, most members of which are peaceful and innocent, merely on the grounds that a small percentage of that group’s members might turn violent. When the vast group in question is Muslim immigrants and would-be immigrants, those defending restrictive policies tend to be Republicans, and those in opposition tend to be Democrats. On the other hand, when the vast group in question is gun owners and would-be gun owners, those defending restrictive policies tend to be Democrats, and those in opposition tend to be Republicans. Yet it’s hard to see how the two cases differ in fundamental principle. Either the state is justified in disrupting, micromanaging, and in many cases endangering large numbers of innocent lives for the sake of a speculative chance of blocking a small number of criminals, or it isn’t. 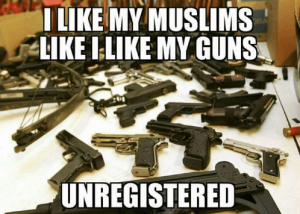 The rights and wrongs of such a case can’t magically reverse themselves depending on whether it’s gun owners or Muslim immigrants who are being targeted. Notice, too, how similar are the rhetorical appeals made by proponents of restrictive policies in both cases. “Look into the eyes of families impacted by gun violence,” many Democrats urge, “and consider how you can dare to support the rights of gun owners in the face of these victims’ suffering.” Or again: “Look into the eyes of families impacted by domestic terrorism,” many Republicans urge, “and consider how you can dare to support the rights of Muslim immigrants in the face of these victims’ suffering.” Each side finds such emotional blackmail convincing in one case, while rightly remaining unmoved by it in the other. For such appeals invariably blur the distinction between an innocent many and a criminal few. The pragmatic aspects of the two policies are similar also. A travel ban’s likely impact on terrorist acts is questionable, given that most recent acts of terrorism within the United States have been homegrown (and given that many of those blocked from entry are potential allies against terrorism). Similarly, gun control’s likely impact on gun violence is questionable, given the existence of a thriving black market in guns (and given gun ownership’s role as a deterrent to crime). In both cases, the cost of government action is a curtailing of freedom for millions of harmless people, while the benefits appear scanty. Liberals and conservatives both display inconsistency; each group employs arguments in connection with one issue, that they forcefully reject in connection with the other issue. When Donald Trump’s son compared the risks of letting in Syrian refugees to eating Skittles from a bowl in which a small number of Skittles were poisonous, liberals were properly outraged, pointing out that such a comparison was not only insulting but also grossly exaggerated the risks involved. Yet liberal support for gun control is based on the same logic as the Skittles comparison – sacrificing the freedom of the many in order to ward off a potential threat from the few – and likewise ignores evidence of gross exaggeration of risks. Liberals who rightly oppose Trump’s travel ban should consider looking at their own support for gun control through the same analytic lens. And conservatives who rightly oppose gun control should likewise consider looking at their own support for Trump’s travel ban through that same analytic lens. Travel bans use the violent actions of a few as a pretext to victimize millions of peaceful Muslims. Gun control laws use the violent actions of a few as a pretext to victimize millions of peaceful gun owners. Neither policy has any place in a free society.